Motor vehicle crashes remain a leading cause of death and injury across the life-span, increasing in 2016 to more than 37,461 deaths. The introduction of autonomous vehicles to the automobile fleet holds the promise of significant reductions in motor vehicle injuries and fatalities, particularly among younger and older drivers, two populations at greater risk of motor vehicle injury and death. 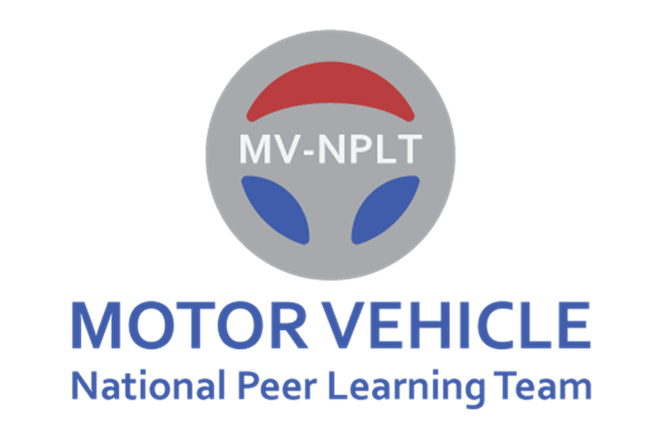 During this webinar, the Motor Vehicle National Peer Learning Team Core Team will review a systems approach to address the opportunities and challenges that will influence increased use of vehicle safety technologies to quickly and drastically reduce motor vehicle crash injuries and fatalities. Dr. James Hedlund, Principal of Highway Safety North and author of the Governors Highway SafetyAssociation (GHSA) report Autonomous Vehicles Meet Human Drivers: Traffic Safety Issues for States, will review public health injury issues related to autonomous vehicles and a role for public health practitioners in promoting understanding and uptake of autonomous vehicle technologies to increase motor vehicle safety. Rebekah Thomas of the Massachusetts Department of Public Health will provide an overview of what the planning committee has learned about AV in the first phase of this project. This series is geared toward injury prevention professionals, researchers, engineers, policy makers, and state autonomous driving work groups. Participants will be able to ask questions of the presenter. To register for this webinar, visit: http://edc.adobeconnect.com/e0qxr3j0s7cz/event/registration.html. Registrants for this first webinar will be notified of future webinars in this series. For more information, contact Ivy Jones Turner at ijonesturner@edc.org. With funding from the Centers for Disease Control and Prevention (CDC), a group of injury prevention professionals, researchers, engineers, and policy makers formed the Motor Vehicle National Peer Learning Team (MV-NPLT) to promote a public health approach to the acceptance and integration of automated safety features that can rapidly reduce automobile crash injuries and fatalities and decrease crash disparities. The MV-NPLT Core Team believes that public health practitioners can increase the acceptance and use of life-saving motor-vehicle technologies by understanding the systems that facilitate or impede the uptake of new safety technologies.